The brains, beauty and boss lady behind this super fun clothing brand, Sania Hasnain Ali, shows us how to style her latest Spring Summer ‘17 collection! This vibrant one shoulder flared sleeve top is this season’s wardrobe staple! 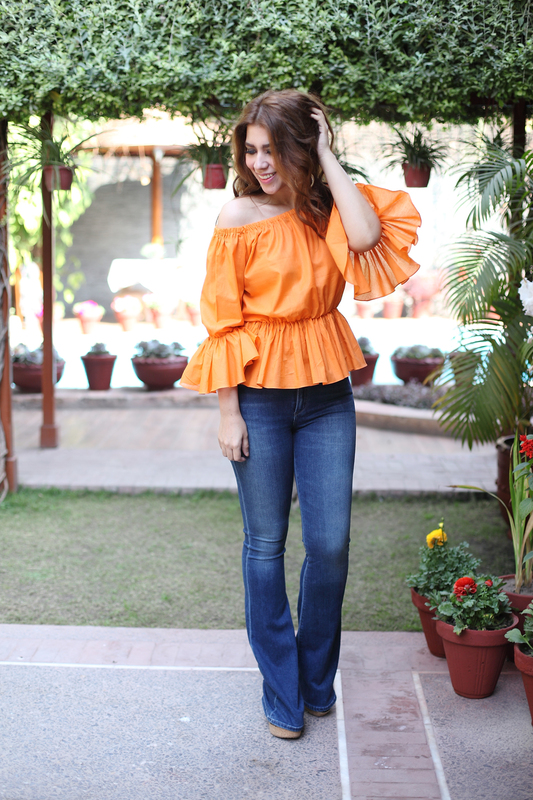 Bang on-trend with its frill details, this top is easy to style and comes in a variety of bold colours, such as tangerine orange, purple, electric blue, light and shocking pink. #StyleTip: Pair with boot cut jeans for a fun, 70’s swag inspired look. There’s no better way to go into the blazing heat than in a breezy white top. This super cute peek-a-boo shoulder blouse is all about intricate pleated details and girly bow ties. #StyleTip: Light blue denim skinnies make for an effortless daytime look. East meets West in this bright button down shirt complete with gorgeous French lace detailing. Feminine, flirty and oh so pretty! 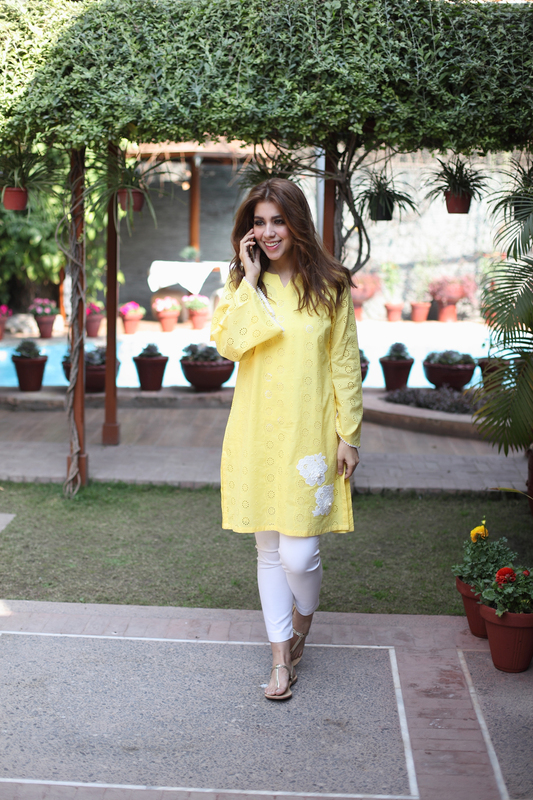 This yellow cutwork tunic with floral appliqué is your Summer savior. With an oversized silhouette and subtle print, it makes for the perfect outfit for those long days spent busy on the grind. #StyleTip: Adding a pair of cotton white legging and simple sandals make this look easy, breezy, beautiful. who’s got the blues? 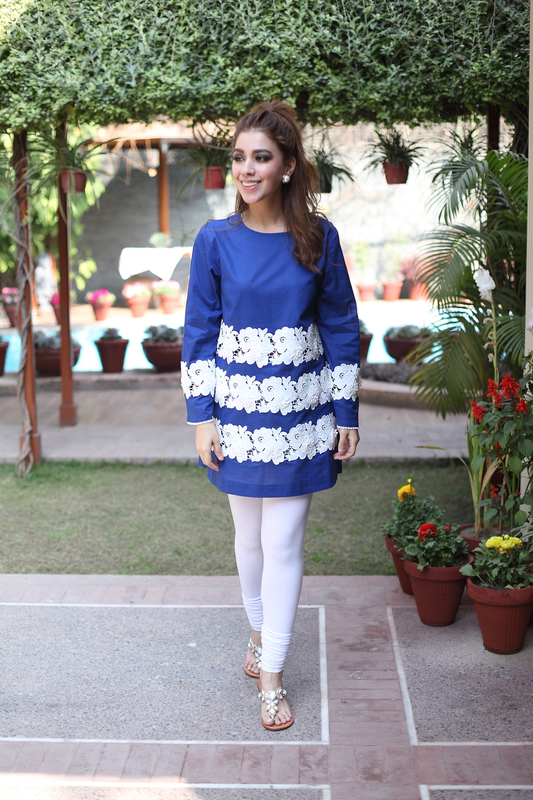 Go crazy for cobalt with this structured blue and white floral lace tunic. Also available in numerous colours, this top leaves room for it to be accessorised in different ways – easily taking you from day to night. #StyleTip: Switch out your chappals for heels and throw on some classic pearl earrings to elevate your look.